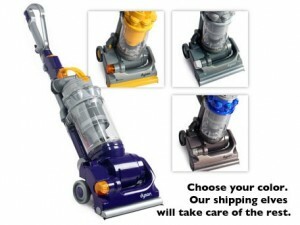 Yes, it's another refurb, but have you seen what the Dyson All Floors Vacuum is selling for?! Brand new I found it for $293.88, and even refurbished I found it for $239. Today get it on Home.Woot for only $179.99 and it comes with a 6 month Dyson Warranty! I can't be the only one desperate for a new vacuum. Shop Home.Woot !